SAI is all about keeping you in shape and giving you that extra bit of help when diet and regular exercise are not enough. We just know how frustrating it can be to eat right and workout every day and still see those stubborn fatty areas and unsightly cellulite. We are always on the lookout for ways to make you feel more confident and beautiful in non-invasive ways and our newly acquired VelaShape 3 is simply exceptional. If you want to tone, shape or slim down there is no better non-surgical treatment available on the market today. Dr Clark only uses gold standard products, and he is excited to launch VelaShape 3 at SAI for this very reason. You no longer have to feel displeased with any part of your body. 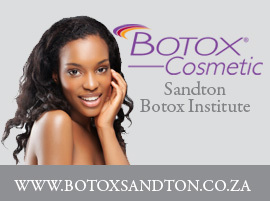 Simply call and make your appointment with Dr Clark at SAI today on 011 883 3116. So what is VelaShape 3 all about, in what way is it different from the previous devices and most importantly, how can your body benefit from it? We are answering the most popular questions about our star slimming device! But if we’ve missed a few, please do ask us directly on our Facebook page and we will get back to you soonest! First things first: what is VelaShape 3? In layman’s terms, this genius little device is based on a vacuum / suction science that targets and heats up fatty tissues in specific problem areas and leave your figure looking slimmer and smoother. It is the go-to procedure for non-invasive body shaping and Dr Clark’s patients have been getting consistently amazing results! Why is VelaShape 3 different from its predecessors? The new VelaShape 3 that SAI recently acquired taking the groundbreaking technology to a new level: More performant, more powerful and 60% lighter than VelaShape 2! The VelaShape 3 has got a roller hand piece perfectly designed to target and eradicate dimples, cellulite and all those unwanted stubborn fatty areas. During the application, the machine diffuses infrared light and radio frequency energy paired with controlled suction and a gentle massaging action. The cellulite is heated at a deep level which, in turn, shrinks the size of the fat cells and reduces the appearance of dimpled skin. But it doesn’t end there! The procedure stimulates blood flow in the tissue which then increases collagen production. As a result, the appearance of the skin is enhanced by the restoration of its elasticity, shape, and tone. Say goodbye to unwanted lumps, bumps and bulges! What areas can VelaShape 3 treat? Our therapists at SAI have been treating many patients with VelaShape with noticeable, long term results. We have had many requests for circumferential thigh reduction but cellulite treatments are extremely popular because cellulite is notoriously hard to get rid of. The most popular areas to treat being the thighs, buttocks, love handles and abdomen. The great thing that our therapists love about the VelaShape 3 is the fact that it has a range of three sizes of tips to specifically target different areas like the neck and the upper arms. What results can I expect after VelaShape 3? Every patient can benefit from Velashape treatments but of course our therapists always warn our patients to keep in mind that results do differ, from subtle to dramatic, depending on the patient’s physical characteristics and lifestyle. Studies reported that patients lost on average between 1.3 and 7.5 cm after the VelaShape treatment. →And what about the cellulite? A patient can notice improvement in the appearance of cellulite in treated areas from the first or second treatment. Gradual improvement will continue to appear even after the treatments are finished. Overall, the patients undergoing VelaShape at SAI report a finer and tighter figure as well as better contours around the saddlebags and the love handles. It is possible for some of our patients to notice results after a single treatment, but most of our patients choose to go back for at least three or more sessions to improve additional areas of their body that can benefit from some intense fat sculpting. Cellulite improvement is usually noticed in as few as 4 sessions. Patients who undergo a series of six (6) treatments get optimal results. They experience a smoothening of the problematic area, a reduction or elimination of the appearance of cellulite, as well as a tightening and firming effect which could result in the loss of multiple inches. How many Velashape treatments will I need and how often? Although benefits can be seen and felt often from just one or two treatments, to achieve longer lasting effects a treatment, the therapists at SAI usually recommend a protocol of six (6) sessions. Re-treatment is performed every week. How long does each VelaShape session last? A single treatment typically lasts between 20 to 30 minutes, but can be as long as 45 minutes or more for multiple body sites on larger individuals. What happens after the last VelaShape session? After a series of six sessions, the body adapts to the VelaShape treatments with a long term effect of shrunken fat cells lasting for many months. Results improve with the maintenance of a healthy lifestyle which includes a healthy diet and exercise. Once a patient has undergone a treatment program of six (6) sessions, periodic maintenance treatments can be performed to refresh the results. One maintenance treatment session per month may be necessary to sustain the results, follow by once every 2-3 months according to individual results. Dermapen 4 harnesses the power of innovation to achieve a brand-new standard and delivers the ultimate in enhanced client experience, results and satisfaction. The Dermaceutic Mela Peel is considered a medium strength Chemical Peel. It is suitable for all skin types and is considered to carry minimal risk with maximum results. SAI believes in the value of change, so we have re-designed our website to include everything to be of assistance to you. Explore it with ease. 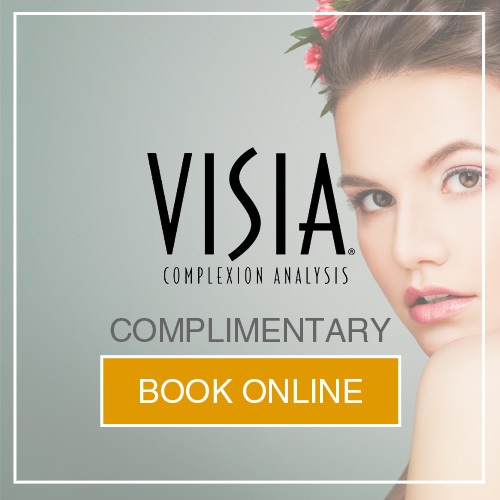 Find and book your own perfect-fit treatment. On our quest for the perfect, glowing skin, Joburg Style chatted to Dr. Alastair Clark from Sandton Aesthetic Institute to get the low down on this increasingly popular treatment. © 2019 Sandton Aesthetic Institute Blog. Taking the lead in medical aesthetics All rights reserved.